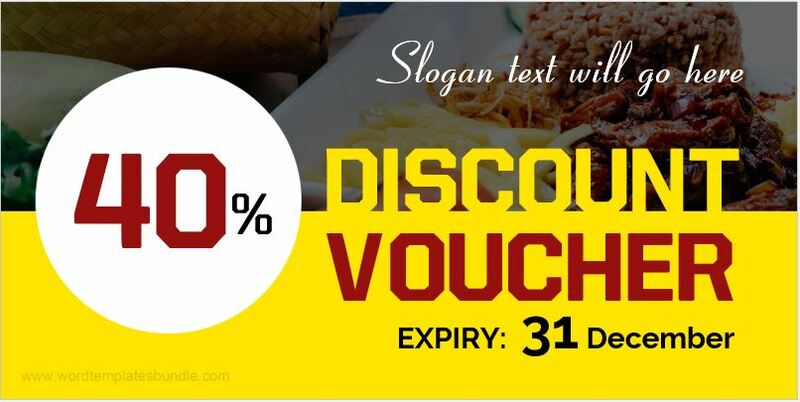 A voucher is a piece of paper which has all the elements printed on it. This document enables the holder of it a discount or exchange of goods or service. The food voucher is no different. This is one of the most common types of vouchers used widely in the world for either personal or business use. This voucher has a few uses. It can be used as a tool for reimbursement of the expense that an employee has expensed out on meal or lunch if the company has a policy of reimbursement or payment for the meal. On the other hand, it can also be used as a means of gift and can be presented to someone as a reward or as a token of the gift. By simply presenting it to the restaurant or cafe, discounts can be obtained. By giving out these vouchers, a commercial business can attract potential customers and can make the business flourish in a way. The best way to draft food vouchers is to use templates. 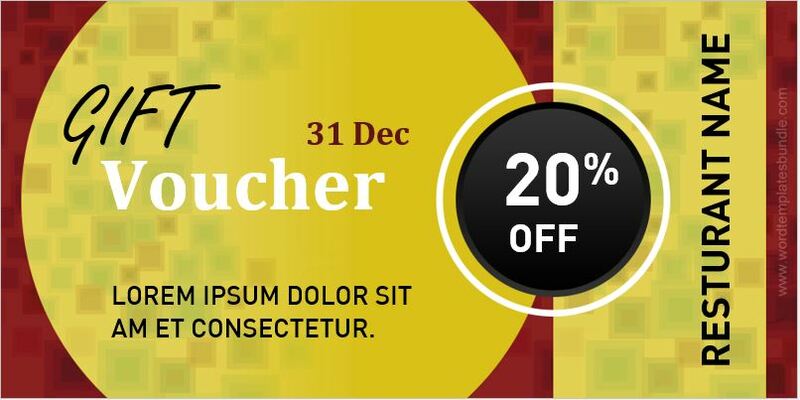 These templates can ensure that all the vouchers have the same font, style and follow the same pattern. Apart from that, the use of templates makes all the procedure smooth, efficient and convenient. The templates also play a vital role in time and cost saving. The food vouchers are a great gift for all the people who enjoy great food and tries out various cuisines in different restaurants. Restaurants have started relying on these vouchers for marketing and establishing a good customer base all over the world these days. The main elements of these vouchers are basic. 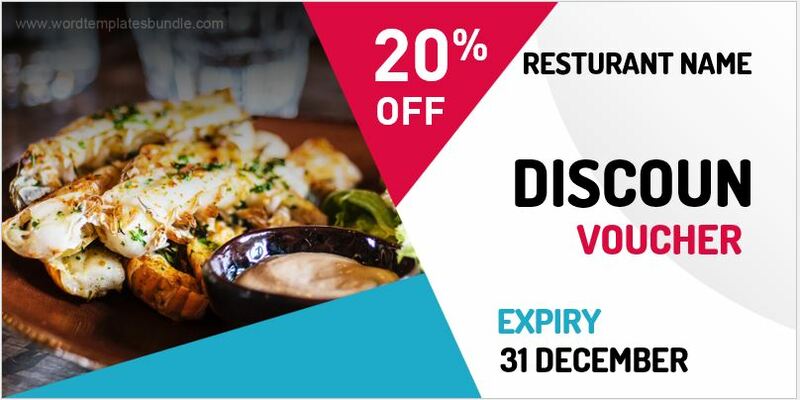 These may include the name of the restaurant or cafe the voucher is accepted in, the name of the branch in which it is accepted, the service it provides a discount or the exchange of service and the percentage should be mentioned in the case of discount. Other conditions should also be mentioned. Other than that another important item that needs to be mentioned on this voucher is the date until which this voucher will be valid to be used. All templates are completely editable with Microsoft Word® and are for personal use only.